When you’re traveling, one of the most important things is making sure your belongings are safe. Losing your passport during travels overseas is one of those fearful things we all hope never happens. But we all know that the prevalence of theft, pick-pocketing, and muggings has only gotten worse. In order to ensure that your things are safe while traveling, you should use an anti-theft travel bag that will ward off would-be slash and grab thieves. Having traveled to over 60 countries, many of which have a not so great track record for travel scams and theft, I’ve tried out many anti-theft bags and I`ve narrowed the choices down to just two brands: Travelon and Pacsafe. These top two brands make some of the very best anti-theft backpacks and anti-theft purses you’ll find anywhere. I’ve listed these and six bags (backpacks and purses) below for you to see and read more about. We’ve got full reviews of each bag, plus links to additional reviews on Amazon, and quick links you can use to purchase the bag you think is right for you. We’re talking about travel handbags today, but we’ve also covered a few other travel issues you might be trying to solve, like how to find the best travel pants (which I now wear practically every day!) and our top carry on luggage choices for 2018. Also check out our guide on finding the best travel backpack or purse. In case you don’t have time to read of the reviews and debate over which anti theft bag is the absolutely perfect one, I’ve put together a chart below to my top picks for best anti-theft bags to help you make a quick choice. Rest assured, we haven’t included any bag that doesn’t meet our stringent quality standards, so no matter which bag you pick, it’s already been vetted and approved by us. 11.4" x 9.3" x 2.8"
9.1" x 12.6" x 3.1"
6" x 16" x 12"
5" x 11.6" x 16.5"
What is an Anti-theft bag? If this is your first time hearing about an anti-theft bag, you might be wondering what it is exactly. These bags are designed with special features that make them more difficult to gain access to and harder to steal. They have technology that other bags don’t have. While we never advocate carrying around valuables or irreplaceable items while traveling, we know it’s impossible to go somewhere without a passport, credit cards, ID, and at least some cash. All of those things are vulnerable to theft. That is where an anti-theft bag comes in. These bags protect you from a lot of typical scams performed by thieves in major touristy areas. You want to avoid these things with the bag you choose. A typical purse or backpack does not provide any protection from these attempts to steal your belongings. But an anti-theft bag does. What Are the Special Features of an Anti-Theft Bag? Most anti-theft handbags include a long list of features that will protect you against covert theft attempts, like slashing the bag or cutting the strap. Make sure the following features are present in any anti-theft bag you intend to purchase. To protect against slash-n-grab thieves who speed by in crowds and on motorbikes, the panels of the bag should have a stainless-steel or chain-link mesh that fits between the outer layer and the fabric lining on all sides of the bag. This makes it impossible to cut through quickly. You may not even have thought that thieves have the technology to just pass by you on the street with an RFID reader to scan the cards and passport in your bag, but they do. Almost all of the cards you carry contain RFID chips with personal information. Make sure you purchase a bag that has RFID blocking technology. There should be protected slots where you can put your cards to keep them safe. One of the easiest ways for a thief to steal your bag is to quickly cut the strap when you’re not paying attention and swipe the bag away from you. To protect against these thieves, your anti-theft bag should have stainless steel cables or chain that run within the straps to make them impossible to cut through easily. The #1 rules for ladies in a restaurant is to never place your bag over the back of the chair, because it’s just too easy for a thief to grab it away before you know it. One of the top features of an anti-theft bag is locking straps that allow you to attach your bag to a chair or stable object in a way that prevents it from being taken. Thieves are trained at being stealthy. They can unzip your purse or backpack without you even knowing it, to extract everything without your knowledge. A good anti-theft bag has locking compartments to protect you against pickpockets. As I mentioned already, there are two main brands that make some of the best anti-theft bags on the market today. They are Travelon and Pacsafe. I personally have carried the Classic Light Travelon anti-theft bag for many years and I love it so much I’ll probably cry if it ever breaks. Why are these two brands the best? It’s because they are committed to providing the best technology to keep your belongings safe. Pacsafe started making their bags in 1998. Being travelers themselves, they set out to make a better bag that would make traveling a bit easier – so you didn’t have to worry so much about losing important items, being robbed of all your cash, or having to protect your luggage with utmost vigilance at all times. Their bags have really great security features like Turn & Lock security hooks, Pop and Lock security clips, and locking cables. With this technology, you can lock your bag to something like an airport chair and know it’ll still be there when you wake up. Travelon is leading brand in anti-theft luggage, including Anti-theft travel purse, crossbody bags and backpacks. They’ve been making bags for over 30 years, and their entire product collection contains over 400 items. You can trust that they are at the forefront of anti-theft technology. Their products are really well designed and manufactured. You know you’re getting quality with Travelon and they’ve seemingly thought of everything. 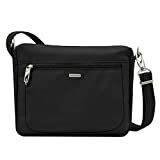 There are a lot of different Travelon anti theft bags to choose from, but the Travelon Crossbody Bag is one of the best. It’s a rather large bag, so it fits the most situations for the majority of people. The size of this bag is 10″ x 14″ x 4″. It’s one of the largest crossbody bags you can find, particularly keeping in mind that you don’t want to be carrying around a lot of weight all day. If you pack this bag full, it will be quite heavy. They also have a very similar crossbody bag that you might be interested in as well that is slightly taller and has more exterior pockets. The large interior pocket has plenty of room for your larger items. There’s also a smaller zippered pocket inside for change, cash or smaller items. Along the side is a row of card slots that are RFID blocking. There’s a second zippered pocket on the outside that has larger, padded slots for things like your phone and passport. On either side of the bag, there are water-bottle holders, which also work nicely as umbrella holders. Pros: Large and versatile. Plenty of space for everything to be neatly packed away. Can be carried crossbody for added protection. Cons: The lining isn’t as high quality as expected and can tear away from the bag if carrying heavy items often. If you’re looking for a small anti-theft crossbody bag to carry only the essentials and keep it streamlined, the Travelon Classic Small Crossbody bag will suit you well. This bag has many of the same features as the bucket bag (featured above), but without the extra space. The size is 10.5” x 8.5” x 2.5” with an adjustable 13”- 25” strap. For me, this is the perfect size for travel. Not too big, not too small. 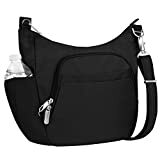 They also have a very similar crossbody bag that you might be interested in as well that is even smaller (8.8″ x 6″ x 1.5″) and is perfect for someone who carries just the basics and nothing bulky. The main interior pocket has room for your bigger items, like sunglasses and wallet. Along the side is a row of non-zippered card slots that are RFID blocking and a larger pocket for your cell phone. The main compartment has plenty of room for a Kindle or iPad mini. There’s a zippered pocket on the inside to hold loose items, like cash and coins. There’s a small LED light in the pocket. On either side of the bag, there are zippered pockets. Pros: The material is easy to clean and is water-resistant. It’s perfect size for those who don’t like to carry a lot of stuff, which leads to it not being overly heavy. Cons: No water bottle pocket. The credit card slots are not tight, so cards don’t feel securely fastened in. I like the Pacsafe messenger bag because it looks more like a generic travel bag, rather than a purse. I travel often with Nick, who doesn’t really want to carry around a purse, so I end up carrying the stuff all the time. This bag is more masculine and doesn’t look like a purse, so we can share the responsibility of carrying it. You can buy this bag in 5 different colors. The size is 11.4 x 9.3 x 2.8 in. I’ve found that it can be very slim if you don’t pack it full of bulky items, but it has plenty of space to expand in case you do have a lot of things to pack in it. All in, this bag can hold 7 liters. If you’re looking for a slightly smaller version, check out the Metrosafe LS140, which holds 5 liters. It’s also a popular choice from Pacsafe. This bag is practically made of pockets. There are 3 interior slip pockets, 2 interior zippered pockets and 4 exterior pockets. It has an internal protective and padded sleeve that can hold a full-sized iPad tablet or small laptop computer. For added security, there is a velcro flap that covers the front panel, behind which you’ll find a zippered compartment for your cards, cell phone and keys. The shoulder strap is expandable from 13.4 to 29.5 inches. Pros: Love the turn & lock security hook to attach the bag to the chair in a restaurant for added security. Well made, high-quality fabric. Cons: Can be tedious to get into the front zippered compartment with the overlaying flap. The water bottle holders aren’t large enough for 20 oz bottle. Unlike the larger Pacsafe LS200, this bag looks more like a travel purse. It’s also much smaller than the LS200, so is suited more for people who don’t wish to pack a lot of stuff inside. The main compartment provides plenty of space for smaller items like sunglasses and wallet, but you can’t fit an iPad or larger items like a full water bottle inside. As a comparision, the interior of this bag can hold 1.6 liters. The size of the bag is 7.9 x 11.8 x 3.1 in with a shoulder strap length of between 16.5 in and 29.5 inches. This bag has a zippered main compartment with a few sleeves to protect your cell phone or iPad mini, plus RFID blocking cards slots. A zippered front pocket provides space to slip a phone or passport. Pros: The part about this bag is that it is slim and small. If you’re a light packer but want to have some space in a lightweight bag to carry important items, this bag is perfect. Water-repellent. Cons: Not a large bag, so you might find that some items you need just won’t fit. Not a lot of interior organization. When looking for the right theft-proof backpack, there are a few things to consider. Generally you won’t be purchasing an anti-theft backpack to use in place of luggage on a trip. So you don’t need it to be exceptionally large. Instead, you’re looking for an alternative to a purse or crossbody bag, in which to carry your important items while traveling, like electronics, jacket, umbrella, water bottle. The two backpacks on our list are just the right size for carrying around as a day bag, which is around a 15L – 28L. If you’re a light packer, you could use either of these backpacks as a weekend bag with no problems. It’s called the Classic for a reason. 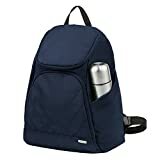 This Travelon anti-theft backpack has all the features you need in a backpack, plus the uncomplicated and reliable anti-theft features. The size of the bag is 16 x 12 x 6 inches, which gives plenty of space for everything you’d need on a day trip. One of the things I like the most about this backpack is the large main compartment. That makes it versatile for anything from packing a picnic for the beach or packing for a 3-4 day trip. The main compartment is large enough to fit a fully packed medium packing cube, plus a toiletry bag, a lightweight rain jacket and a few more odds and ends. Also inside the main pocket is a sleeve where you can fit a small (13″ or smaller) travel laptop, or an iPad, and there’s a zippered pocket in the back for storing paperwork or documents. In the front pocket, there’s room for a book or Kindle, plus all of your smaller items (cell phone, passport, credit cards, sunglasses, etc. The bag also has a side pouch where you can store a water bottle, thermos or umbrella. Pros: Perfect for carrying whatever you need – from day trip to a full weekend away. Lots of great organizational features. Cons: This bag is for light packers. If you have a lot of items to pack, you may find it too small. Also better suited for a smaller framed person, as the straps are not incredibly long. For a slim and lightweight backpack with fantastic security features, you can’t find one better than the Pacsafe LS350. While it’s quite a small backpack – the size is 16.5 x 11.6 x 5.1 inches – I’ve found that it holds everything I could need for a day out as a tourist. Nick and I often only take one bag and we can put 2 jackets, a water bottle, 2 umbrellas, my small travel purse, any documents we need and sunglasses inside and still have plenty of room for thing we pick up throughout the day. All in, this bag can hold 15 liters. The roomy main compartment offers enough space to put a medium-size packing cube, or a couple days’ clothing and a rain jacket. 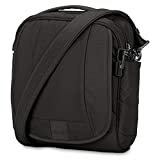 The backpack has an internal protective sleeve for up to a 13-inch laptop or tablet. There’s a front zippered pocket with organization sleeves in which to tuck away all of your loose items. There’s also an extra zippered pocket in the front pocket flap. Two side water bottle or umbrella holders. Cons: The back is not ventilated and there is no sternum strap. Not as big as the Travelon backpack. Don’t expect to fit a ton in there! With these 6 anti-theft bags to choose from, your travels will never be safer. Take it from us – we’ve been traveling for over 20 years – it’s important to take extra care of your belongings while on the road. Nothing will ruin your travels faster than falling victim to a slash and grab thief. Protect yourself by purchasing one of the best anti-theft handbags on the market. Disclaimer: This article contains affiliate links. If you purchase through these links, we may receive a small commission at no extra cost to you. 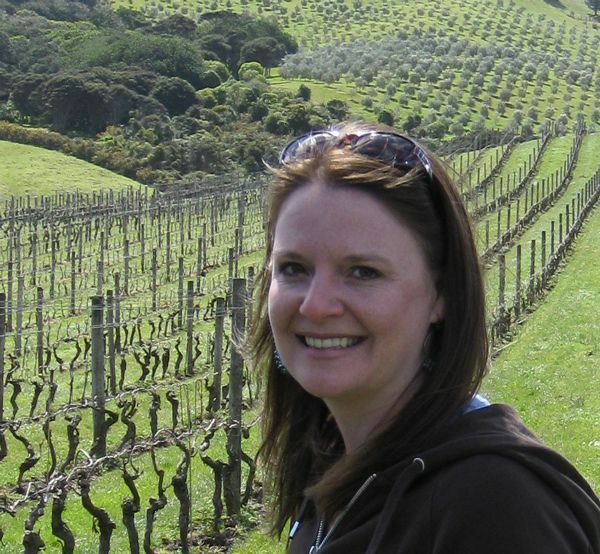 These are our honest own opinions of the top travel products.